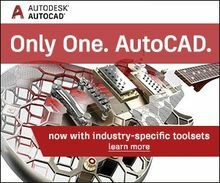 Autodesk® VRED™ Professional software helps users create high-end visualizations and virtual prototypes in the automotive development process and CGI production. Visualization experts, color & trim specialists, lighting designers, and marketers can use the full power of design and engineering evaluation tools and immersive workflows to collaborate on and visualize a photorealistic prototype. Perceived quality as well as ergonomics of an automotive model can be explored through the high-fidelity rendering results of the VRED rendering engine. By moving from physical to virtual processes, car manufacturers and their suppliers can help close communication gaps and shorten the overall time to market.